Blood Pressure Reduction: Pop 1 to 3 saffron threads in a cup of milk and drink daily which will act to have the medical benefit to reduce a ladies blood pressure when pregnant. Saffron has a chemical component within it that acts to relaxes the muscle and additionally it acts as a stimulant to the uterus so an added benefit of saffron here that is a real plus for pregnant ladies that need that extra special care at the most special and purest time of life. Saffron Milk: Saffron spice and milk together aids digestion tract in a pregnant lady and seeing as the digestion is often slowed down in the mother during pregnancy saffron benefits in creating an additional layer that buffers and has a medicinal benefit of soothing down an inflamed gastrointestinal tract and lowering acidity internally. Digestion catalyst: During pregnancy it is very common to suffer blockage of the gut and painful times can be had. Safron therapy acts to increase the bodies blood circulation and quickens the metabolic rate. Soothing: Our very own Iranian Sargol Saffron is a natures own organic pain killing missile and our saffron also has definite anti-spasmodic property and anti convulsant properties so very good for relieveing pain and sickness. The active compounds in the saffron filament act to relax your muscles and promote cessation of nervous pain and cramps, to relieve you to relax during pregnancy. Anti anemia: A fact many people do not know is that over 70% of all females are anaemic. The good news is that saffron is packed full of naturally occurring iron which is vital in the human body for the making of the red blood cell lines. Taking daily amounts of saffron in your food boosts up the bodies haemoglobin level in the blood. Equilibration of mood swing: Hormones change of course during a pregnancy cycle and can make one feel anxious, extra emotional and mentally tired. 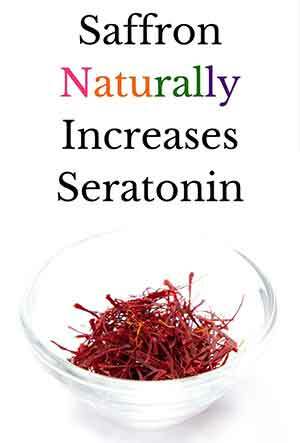 The Saffron has chemicals in it that work on the mind as an anti-depressant. The medicinal benefit of saffron in this case is due to the boost of oxygen rich blood to the brain which promotes the production of serotonin which basically is the happy chemical in our brains. Next time you feel a bit anxious or stressed boost yourself up with a saffron infused treat. You can relax at night with a bed time saffron tea which balances the mind, promotes both relaxation and happiness. Saffron is also a mild natural sedative. Saffron in fighting heart disease: Saffron the wonder that it truly is contains very high levels of natural antioxidants, potassium and crocine, picocrocine and saffranal. These anti oxidants protect women and also their unborn baby inside their tummy by lowering blood cholesterol & lowering also the triglyceride fat levels, hence maintaining the arteries free fatty deposits and so allowing smooth unimpeded blood flow and this lowers the blood pressure and allows the body to operate at optimum levels. Medicinal benefit of saffron for sleep: Simply this, try a mug of warm or even hot saffron milk or a hot saffron tea while you go off to bed to rest as saffron is in fact a mild natural sedative, sweet dreams. Sore gum relief of pain: During pregnancy brushing ones teeth can be really painful so the medical use of saffron here is to grind 1 to 3 saffron filaments and rub with your clean finger on your gums to ease the pain. Anti- allergy: The female immune system is more likely to be hit with allergic reactions when pregnant so why not fight this and get the benefit of saffron milk infusion to soothe that cough or tickle in the throat, it also will help sufferers relieve asthma, allergies and nasal blockages and the congestion that builds up during a flu. You can also prepare easily a paste of a mix of sandalwood and then grind in your own pure Iranian sargol saffron and this when applied can bring down fever in a natural way avoiding artificially laboratory manufactured pain relief like ibuprofen and other such tablets. Hair growth booster: Hair falling or alopetia can be a very distressing event in some women during pregnancy and this can be countered by saffron application as a paste mixture in a glass of milk adding saffron and liquorice. Apply this mix to the hair loss area daily and see the difference in months. Treats acne: With hormonal changes during pregnancy some blemishes and spots can occur commonly on the skin. Saffron purifies the human body's blood and so fights acne. Baby mobility and vitality: When a woman is during her pregnancy she can actually feel her baby make movements just as the glass of saffron milk is consumed by mum! Saffron has the medical benefit of boosting the body heat which stimulates the baby to move. Do not consume large quantities of saffron and also bear in mind that a gestating baby movements are not felt until after several months so do not be alarmed. Anti Acid: Saffron helps to regulate blood pressure and fight off kidney and bladder infections and so acts as a preventative medicine to counter the ill effects before disease gets a hold. Saffron spice filaments contain a barrage of amazingly beneficial naturally occurring chemical compounds such as Vitamin C, niacin, Vitamin A, thiamine, riboflavin and folic acid which are essential for the good health of an adult a child and a baby including the unborn baby inside the mothers womb. Warning regards saffron over consumption: Over consumption of saffron in excess of 10 grams per day can kill an adult or a baby, however this is a ridiculous amount no one in their right mind would ever consider to ingest so relax, just a fact that you should be aware of and of course keep saffron out of reach of young children.